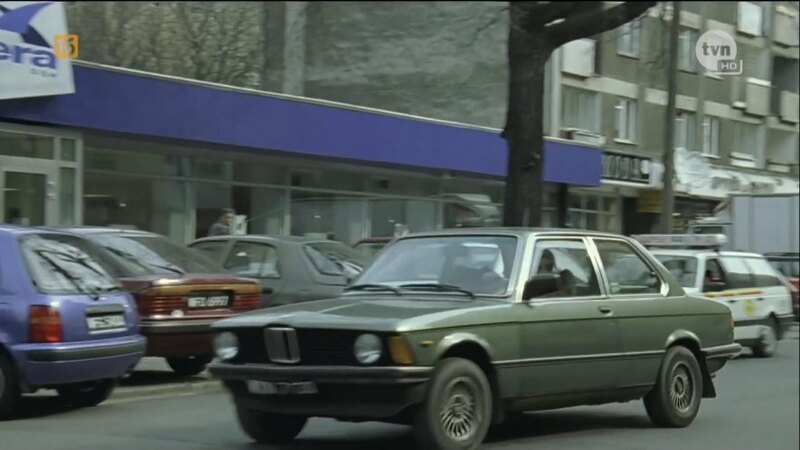 IMCDb.org: 1980 BMW 316 [E21] in "Kiler, 1997"
Talk about unusual. A 316, and being Agate Green. Our 320i was this color - so cool. What's the deal with that reflector behind the blinker/parking lamp? How come the rear has none? I thought only the US needed these additional reflectors on the side. 'Control Revision', what's that? My family owned a brand new `81 320i, Agate Green, Beige Cloth Interior, Automatic, A/C, Cassette-Deck, Fog-Lights, but no sunroof - I believe this was the "Luxus option". We owned that car until 1984 - such a special car to me. That was the car that started it all for me. The reflector behind the blinker-parking lamp is another parking light! In Europe, cars were sold without this deal, but (at least in Italy) it became then (late '80s) obligatory only on the frontal. Cars that didn't have this lateral repetitor (like the E21) in most of cases had to be equipped with after-market ones (some people chose similar E30's ones - at least good to look...). My brother's E21 was an '83 315, Agategun with beige interior (same of your!) and only the fog lights (original BMW '80s accessories). What a great car! When he changed it, it had about 300.000 kilometers and still run! Cool site Benny. Thanks. Awesome pictures. Interesting info. about your brother's E21. I own an `84 533i (limited production), it has 185,000 miles or 297,580 kilometers - and it still runs great. You can see it at www.bavauto.com, under photo-contest, 2004, it's the 4th down on the right. Thanks for the link. Excellent site!